Portraits of children and pets are often taken by adults standing up. This viewpoint diminishes the power of the subject, so they appear submissive and vulnerable. So try shooting upwards at your subject. Compare these two shots above. The child appears confident and relaxed, whereas the woman seems a little anxious. This effect is created by the angle of the camera, and how your model responds to you from the two different viewpoints. In the image above, Maurice Wilson has emphasised the impact of lines, shapes and shadows by producing the image as a monochrome. 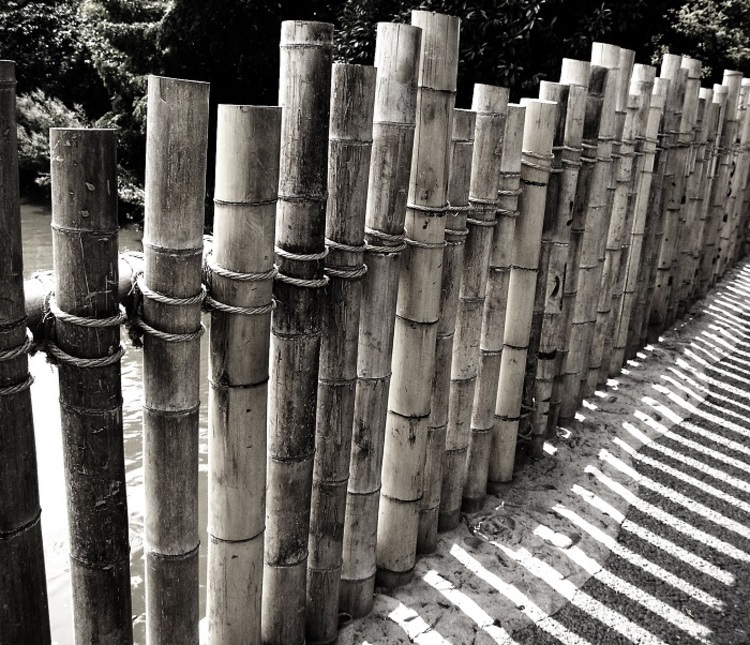 A viewpoint slightly above the bamboo fence captures the shadows on the ground. The top of the fence stands out against its dark background. The subject fills the entire frame, adding to its impact. The small lens aperture has maximised the depth of field so that the pattern created by the shadows repeats clearly throughout the image.